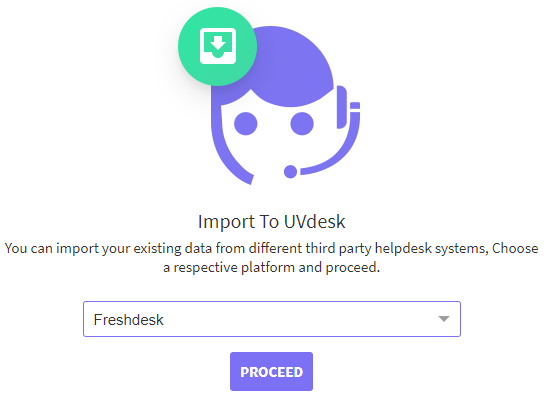 UVdesk - How to import data from Freshdesk to UVdesk? Data Migration is considered as one of the important features. It allows the user to import the data like tickets, customers, agents, mailboxes, saved-replies, etc from one help desk to another helpdesk. If the user has a huge number of data in any help desk and in any emergency situation, the user needs to switch to another Helpdesk System then “Import Data” feature saves the day by saving the time and resources. We have added a new feature called "Import Data" in which the user can import the data from any third-party helpdesk to your UVdesk Helpdesk. 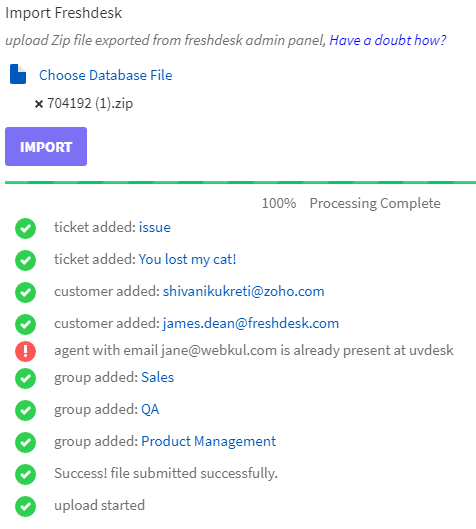 In this article, I will explain how you can import your data like Groups, Users & Tickets from Freshdesk Helpdesk to your UVdesk Helpdesk. First, log into your Freshdesk Helpdesk Account and follow the path: Admin > Account Settings > Account. Now click on Account. After clicking on "Account", you will see "Export Now" button. Click on that button to generate an XML file which will have all the available data of your Freshdesk Helpdesk. You will get a notification after clicking on the "Export Now", that you will receive the XML file over your mail. NOTE: the zip size should not exceed more than 25.00 MB otherwise it will not get uploaded. On the Dashboard, you will see "SETTINGS" menu and under it, you will find "Import and Export". Click on the "Import and Export" Icon and then you will be redirected to a new page with two tabs- Import & Export. Under "Import", select Freshdesk option in the drop-down and click on Proceed button. Now, you have to upload your XML file via "Choose Database File" option and then click on "Import" button. After clicking on "Import", you will see the progress and data which are getting imported in the UVdesk Helpdesk. 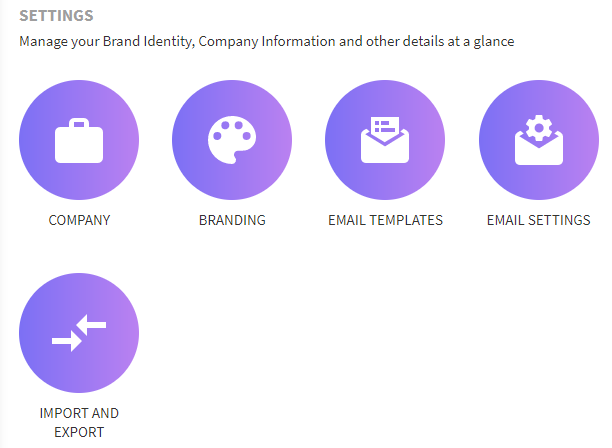 After the import, you can see your data like Groups, Users & Tickets in your UVdesk Helpdesk System.